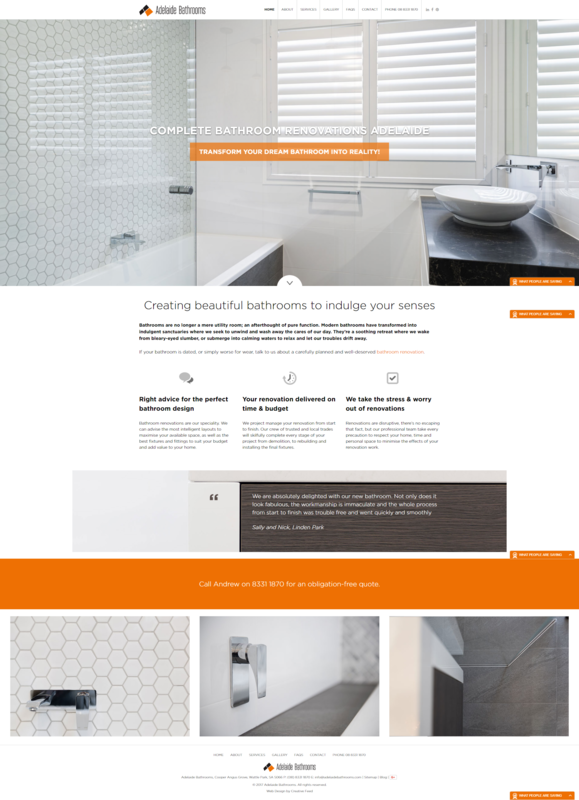 A new website and content was required for Adelaide Bathrooms to showcase their services. Bathrooms have come a long way and are no longer simply a utility room used for cleaning. They have become one of the most important rooms of the home which needed to be reflected in the content.